We believe that any act of decolonization must include interventions in the field of vision. The settlements are organized as optical devices on a suburban scale. Their pattern of streets as concentric rings around the hilltop, the placement of each house, the space between the houses and the organization of windows and rooms follow design principles that seek to maximize the power of vision with both ideological and strategic aims in mind. The pastoral view out of home windows reinforces a sense of national belonging when it reads traces of Palestinian daily lives – olive groves, stone terraces, livestock – as signifiers of an ancient holy landscape. 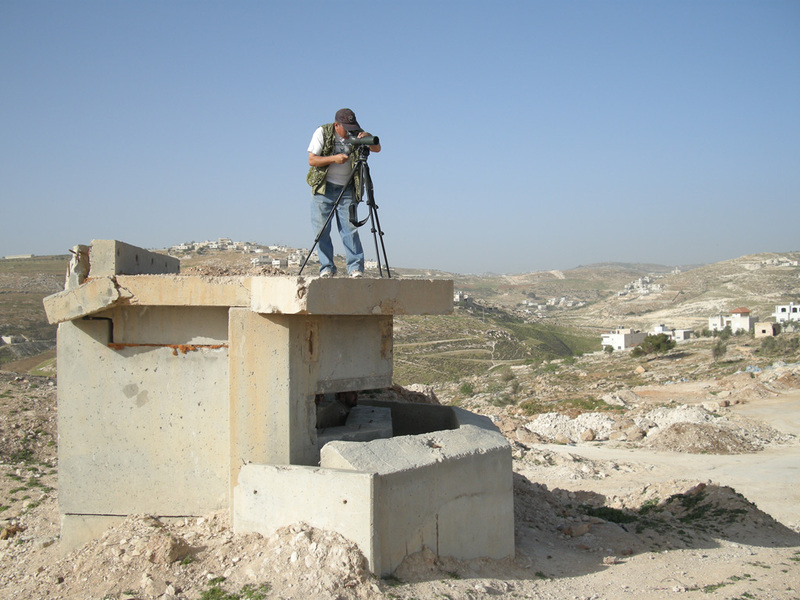 The view is also strategic in overseeing tactical roadways and surveying the Palestinian cities and refugee camps. 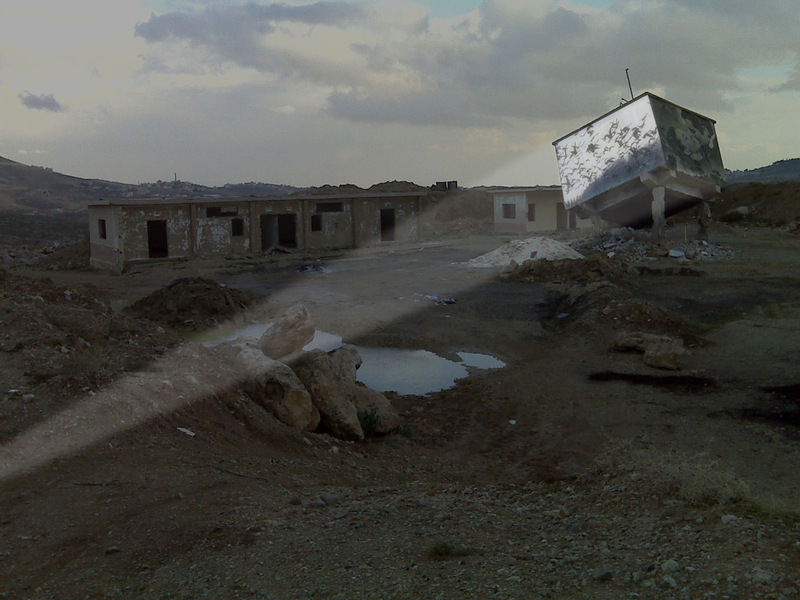 The visual affect of the settlements on Palestinians is in generating a constant sense of being seen. 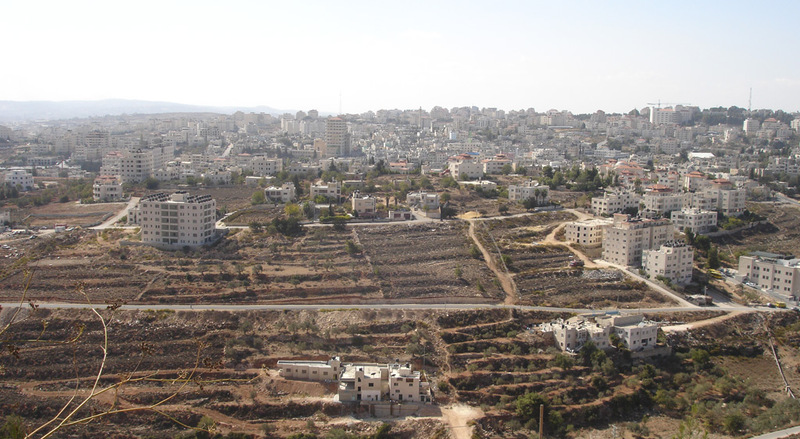 From Palestinian cities one can hardly avoid seeing a settlement, and one is most often seen by one. Because the organization of homes is directed towards the surrounding view, the main door into each settlement home is approached from the inner areas of the settlement. Entering the home one moves into the living areas and the main window which opens onto the landscape. But what happens if the people that should now be arriving at these houses are those formerly “composing the view”? What if the new user would now approach the house from the view? Our response is a small-scale intervention. We propose to change the direction of the front door to face, not the inner areas of the settlement but the Palestinian cities. Changing the direction from which one enters the house, also alters the spatial syntax of its interior. This small-scale intervention is ‘cinematic’ in the sense that it is an intervention in the framing of the conditions of vision and in directing ways of seeing. It reorganizes the field of the visible, a perspective folded onto itself. 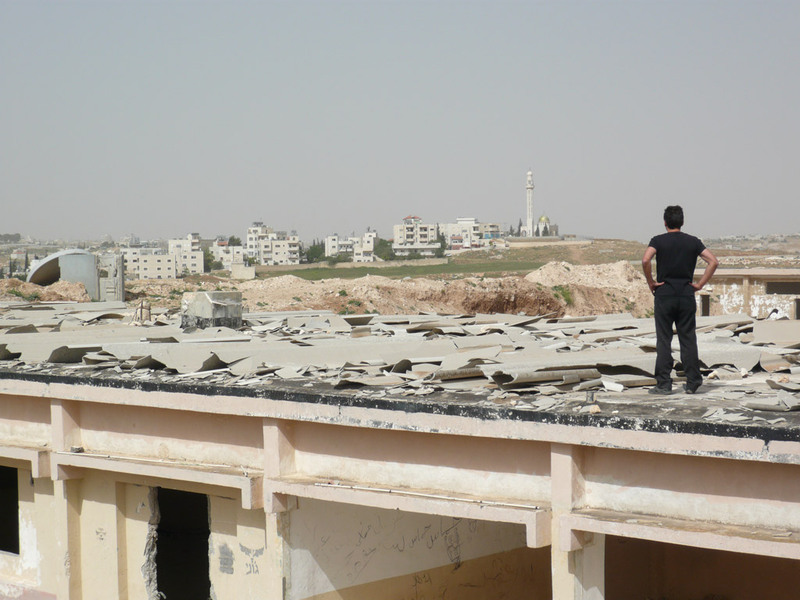 Transforming the water tower of the military base Oush Grab into an open-air cinema could be a way of turning back the Palestinians’ look to the former occupied space. 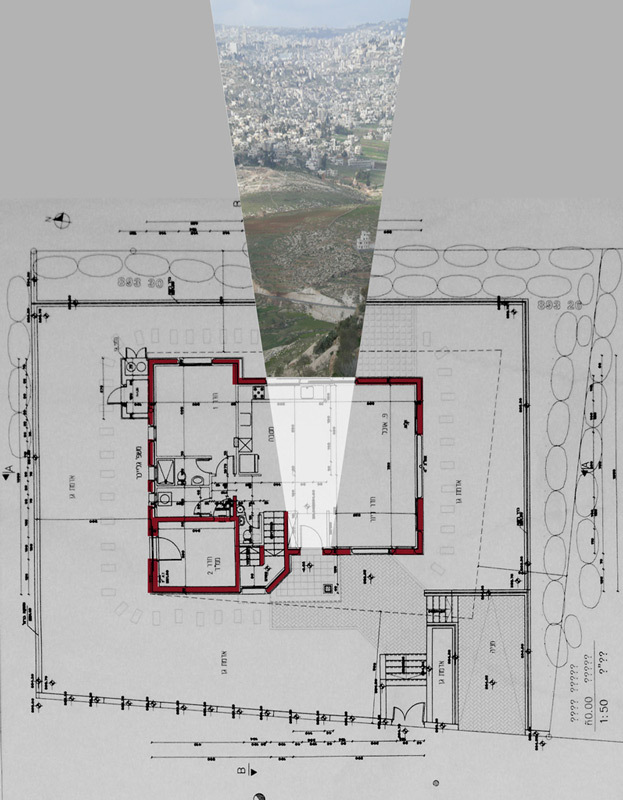 The urban, suburban, layout of the settlement is an optical device designed for vision. This organizes the architecture of the house and of the colony. But as well, as we saw today in the military base, the architecture of the military. Quite simply it is designed to oversee things. The act of de-colonization is an intervention in the field of vision. If we see the colony structure as an optical device on an urban scale, the idea of vision must be subverted – turned on its head. For example, what is the settlement looking on? They are looking on the Palestinian towns and villages obviously for control and supervision. But now this same vision could be charged with another contents. The idea of de-colonization as an intervention in the field of vision is not only about physical occupation. How do you own something through vision? How do you participate in the landscape through vision? The settlers vision is ambivalent in relation to the landscape. There is a kind of contradiction when they speak about visibility. With their open kind of vision, everything is visible but cannot be accessed. This interplay is rather curious, because on the one hand, there is an admiration on the part of the settlers of the authenticity of the Palestinians. As well as the desire to displace them. There is a kind of contradiction in their field of vision. I think about decolonization as not only change of use, but as intervention in the field of vision. When Eyal was speaking I was thinking about this road we call Wadi Nar Road, which means Road of the Fire. They call it this because it is a very difficult way that we have to go around the hills and the desert. At other times when we were able to go through Jerusalem to Ramallah, to go to Tel Aviv, we weren’t using that part of the desert. It wasn’t accessible; you went only to walk there. It was not part of our surroundings, our imagination. All these roads closed with Oslo at the beginning of the 90s and we could not go to or through Jerusalem. So they opened this bypass road through the desert. The first time I drove on this road I had a mixed feeling. On the one hand I was angry for having to travel on this road because of colonial decision, but at the same time, it is one of the most beautiful roads I had ever seen, and the desert has entered my geography again. The road goes through the hills. 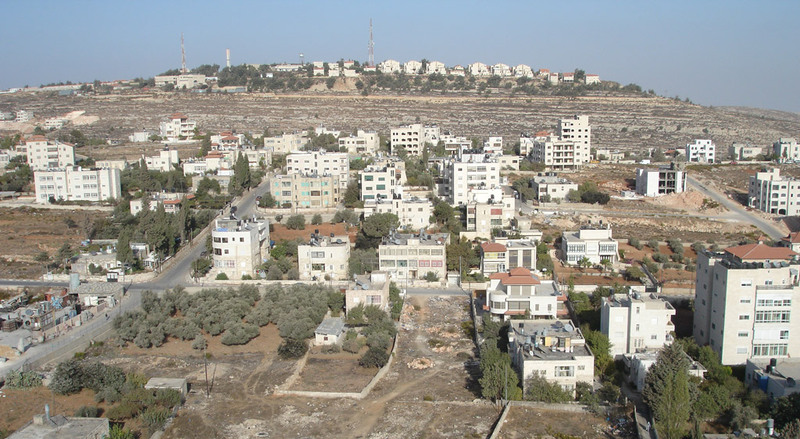 It brings us back to what is seen as the ‘authentic’ Palestinian landscape. And if I had to suggest the most ‘typical’ landscape of Palestine, I might have suggested this road. When we were today at the military base or yesterday at the top of the colony. You can see Palestine from these places, and I think this de-colonization of these sites would open new ways of seeing Palestine. What does it mean to take a vision of control and turn it into a vision of another nature, which is part of your own landscape? If there is something in the settlement that we need to know how to use, it is that possibility to see, to see from there. By using topography in a different way we reopen the landscape.